OMG, I couldnt believe it when I read this story. A bit wacky and unbelievable. 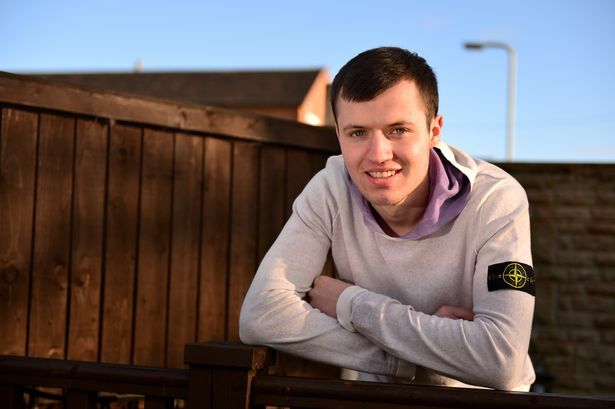 Reveller Brandon Parton has told how he feels ‘discriminated’ against after bouncers made him remove the Stone Island logo from his £259 jumper – after they claimed the ‘brand is associated with trouble of gangs’. The Stoke City fan was on a night out at The Kiln in Newcastle when security staff ordered him to take off the detachable patch from his sleeve because it didn’t ‘comply with the dress code’. While Brandon followed the order because he didn’t want to cause a scene, he admitted the decision left him feeling ‘judged’. The 21-year-old has now called on The Kiln to rethink their ‘ridiculous’ policy on banning labels supposedly connected to ‘trouble or gangs’. See full article here: The Sentinel.